"With five-star hotels, booming high-tech companies and a modern, new city under construction near Ramallah, the West Bank is preparing for the future. Local entrepreneurs speculate that if the Palestinians ever gain independence, their country could become a leader in the region. [...Bashar] Masri is possibly the most unusual businessman in the Palestinian Territories. [...] He founded Massar International and began building a small empire. He already had dreams of building a Palestinian city in those days, but then came the second Intifada, so he built in Morocco initially instead. 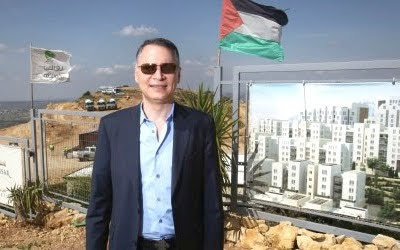 But he never lost sight of his goal to establish the first modern city in the Palestinian Territories -- and he began building it in the West Bank near Ramallah more than a year ago. 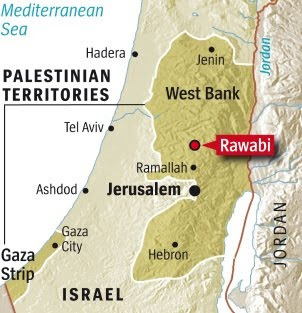 The new city, called Rawabi, comes at a price tag of more than US$850 million (€586 million). Masri's most important investor is the government of Qatar. In addition to 5,000 residential units, Masri is building a sewage treatment plant and a mosque, supermarkets and an administration complex. When the new city reaches its target population of 40,000 people, it will be larger even than Ramallah itself. Masri has hired landscape architects, designers and event managers to invent the sort of city that has never existed here before: with green space and decorative fountains, and without uncollected garbage, potholes and unadorned concrete structures. "In Palestine, the world has an opportunity to build a new state that's efficient and modern," he says. Masri wants Rawabi to be the centerpiece." I've written before about this epic undertaking and hope this together with other initiatives can be a game-changer for prosperity and engagement in the region!